Holstein breeders highlight their passion for cows. Four brothers operate a dairy farm and produce award-winning cheese at a nearby facility. A young couple will detail the daily challenges of farm life. Descendants from Greek immigrants, this three-generation family operation shares their American dream story. So while the program will interview only Holstein herds, the message of wholesome nutritious milk is expected to be a constant from all producers. Regardless of which dairy breed is found on a farm, dairy operations take great pride in producing high-quality food for their neighbors, their friends, themselves, and consumers worldwide. 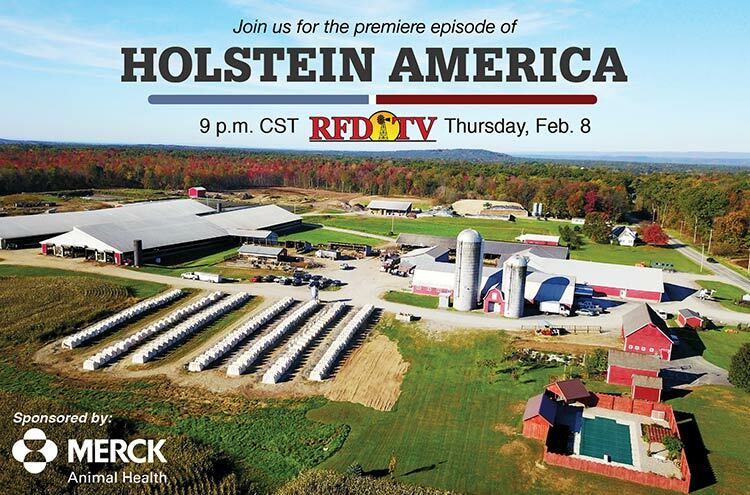 The segment will be entitled “Holstein America” and will be broadcast on Thursday, February 8, 2018, at 9 p.m. (Central time) on RFD-TV. The independent cable channel is available on many cable systems including DirecTV, DISH Network, Charter, Spectrum, Comcast, and AT&T U-Verse. If you are unavailable to watch the show live or did not record it, the segment will be available on Holstein Association USA’s website, www.holsteinusa.com after the show airs.